Welcome to the Lone Mountain Area on Norris Lake in Tennessee! Here, this area sits in the northeast corner of the lake, where you’re surrounded by beautiful scenery and plenty of things to do! Our vacation rentals give you easy access to take advantage of all there is to enjoy here. One of the close convenient spots is the Lone Mountain Boat Dock, where the staff is extremely friendly and give you all the help you could need at this marina! Another close spot is Norris Landing Marina, where you can take advantage of rentals for boats and watersports. Spend as much time as you can out on the water surfing, wakeboarding, tubing, fishing and having so much fun! Norris Landing also offers great meals right on the water so you can eat in gorgeous scenery! Speaking of food, right near Norris Landing is Jimmy’s Place, a waterfront spot for happy hour drinks and excellent meals! Come to stay with us here in the Lone Mountain Area on Norris Lake, there’s room for everyone and it’s never a bad time here! You won’t regret taking advantage of this experience! 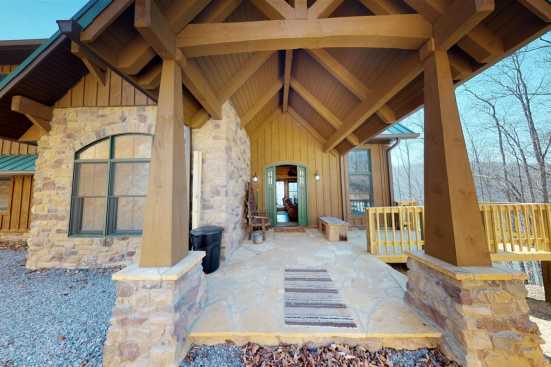 Smoky Mountains by Owners is happy to have these vacation rentals in our convenient location so you can make the most of your trip this year. Book online and stay in one of our beautiful properties when you desire! Make this year’s trip unforgettable!